Built in 1922 for American Railway Express Company – the UPS or FedEx of its day – the Railway Express building is a unique, two-story garage that housed the company’s fleet of local delivery vehicles in the Brewerytown neighborhood. Although occupied by the company for less than two decades, the building continued in use as a garage and warehouse by various later owners. By the late twentieth century, however, the structure was abandoned. 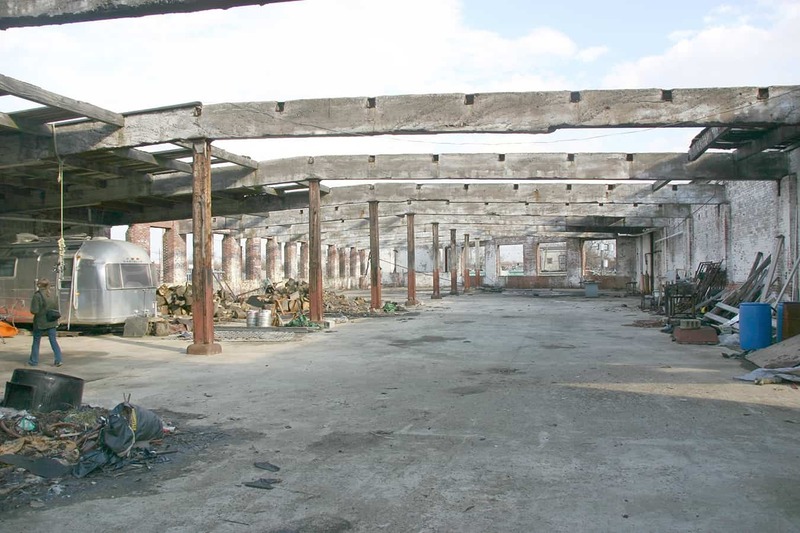 In 2004, the building suffered a major fire, during which the roof largely collapsed. 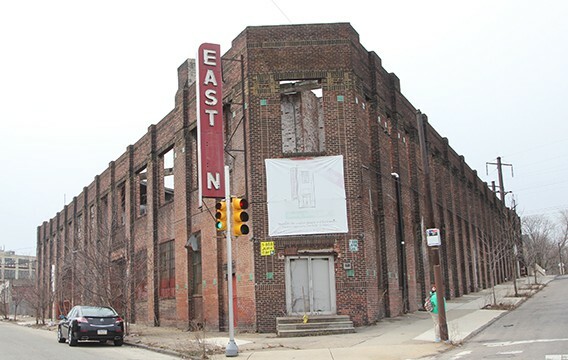 Despite its neglected state, developers saw promise in the building for re-use as housing. 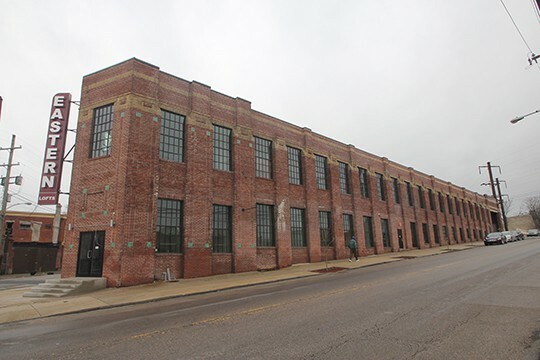 In order to make the project eligible for the Federal Historic Tax Credit, Powers & Company was hired to nominate the building to the National Register. We continued on as HTC consultant for Mosaic Development Partners in 2013, guiding the project through the SHPO and NPS review process. 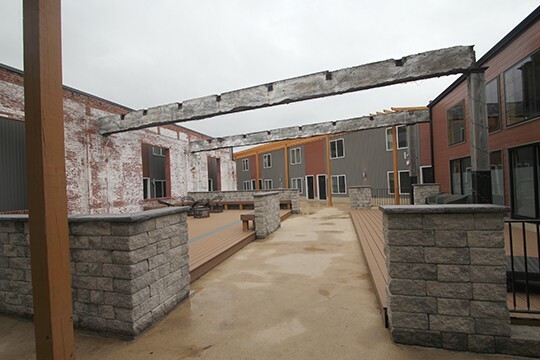 The most notable aspect of the rehabilitation was the insertion of housing “pods” and outdoor amenity spaces onto the roofless second floor, bringing new life to a difficult to re-use building. This creative solution allowed the efficient and sensitive re-use of the building’s deep footprint, which otherwise would have required an atrium to bring light into the interior. The exterior masonry was also carefully restored and new, historically appropriate windows were installed. Now known as Eastern Lofts, the project was completed in 2017 and remains a model for the imaginative adaptation of industrial buildings.